Defence Turkey: Please accept our very special thanks for devoting your time to answer our questions. As a start, could you please tell us about ODTÜ Teknokent in terms of the activities and projects being carried out? It is our pleasure to host you here today at ODTÜ Teknokent. As you know, ODTÜ Teknokent is the first and still is Turkey’s most innovative technopark. 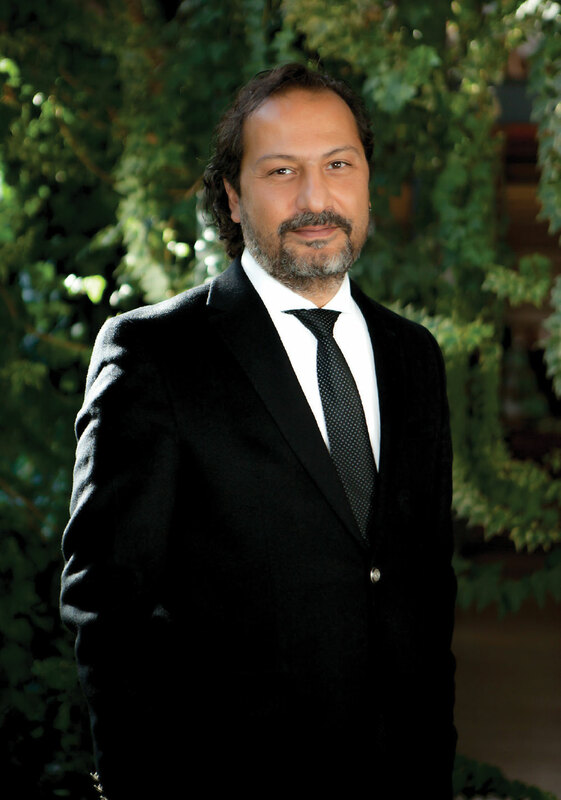 It serves a great ecosystem to its tenant companies, to ODTÜ faculty members, researchers, where we aim to support technology based entrepreneurship, increase the university-industry cooperation, commercialize R&D through the technology transfer office, facilitate interactions and collaborations between companies and finally work for the international competitiveness of the companies. Therefore, ODTÜ Teknokent has a wide range of programs, activities and projects addressing different needs of different stakeholders. 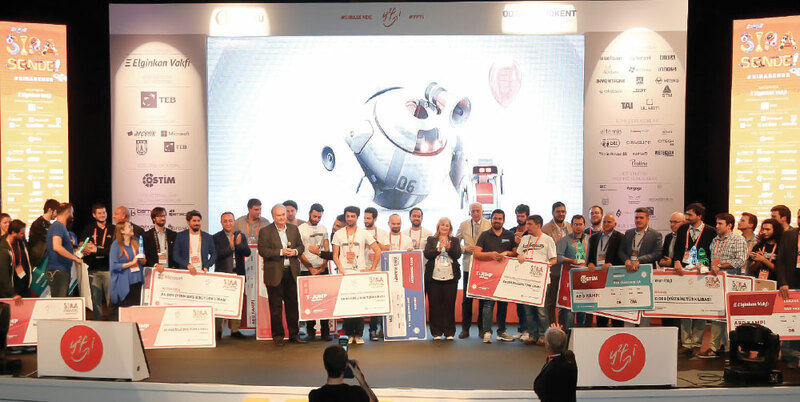 Among these are, the “Yeni Fikirler Yeni İşler Acceleration Program”, the “Animation Technologies and Game Development Center - ATOM” together with various Incubation Centers as per the promotion of technology-based entrepreneurship; the “Technology Transfer Office - TTO” for the commercialization of R&D; Defense (TSSK) and ICT (T.ICT) clusters as a an expeditor of collaboration among companies; and finally the San Francisco Business Acceleration Center (T-Jump) together with liaison offices abroad paving the way for international cooperation and to act as enablers for companies to open up to global markets. With its more than 330 tenant companies, 60% of which were initiated on its premises and employ more than 5,500 staff, 95% of which have bachelor, master of PhD degrees and with 125.000 m2 of closed area reserved for R&D operations, ODTÜ Teknokent has undersigned exemplary success stories to serve as a model for other technoparks in Turkey. The companies operating at ODTÜ Teknokent are involved in R&D activities in software and information technologies (49%), electronics (21%), mechanics and design (15%), medical technologies (4%), energy and environment (5%) and advanced materials, agriculture, food, aviation and space, automotive account for the remaining (6%) altogether. Due to the aforementioned services and its activities, ODTÜ Teknokent was selected as the most successful technopark having ranked FIRST PLACE five times and awarded as the most successful technopark in the Technology Development Zones Performance Index Study for the years 2011-2015 executed by the Ministry of Science, Industry and Technology. Defence Turkey: What is the main target of the TSSK? Thank you for raising this question, since I think the TSSK is very important as it is a cluster that was founded in ODTÜ Teknokent. 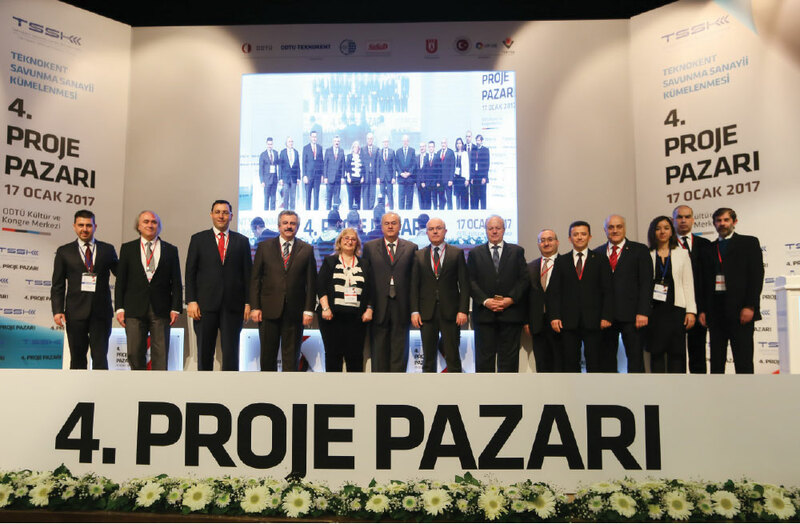 By the year 2010 more than 100 firms had gathered together under the TSSK (Teknokent Defense Industry Cluster) in order to have a voice united through strength and developed more than 500 successful projects focused on the defense industry. These companies complement each other and add value to each other and defense capabilities, developing new products and services for aviation and security areas that have vertical expertise. The development of needs that are critical and that have to be nationally produced, by national defense industry firms, occur within the scope of R & D-focused collaboration with universities. 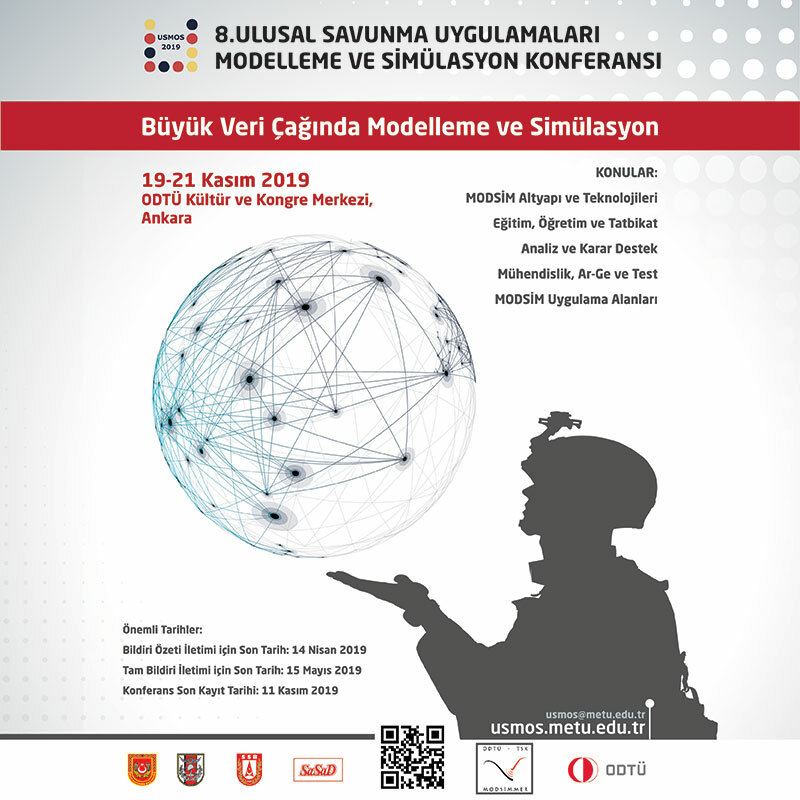 National defense industry companies, with universities and other companies, within the framework of R&D-oriented collaboration, set out with the vision to produce technology for the international markets, ODTÜ Teknokent Defense Industry Cluster. Defence Turkey: How do you facilitate defense companies to work together and how are the cluster activities financed? Within this context, support is provided for the pioneering of national and international business development activities, key staff on behalf of firms benefit from governmental support. Together, the cluster identifies targets for the development of a common infrastructure to meet the needs of cluster member firms. Universities, large industrial organizations, relevant public institutions, organizations with cluster members to ensure cooperation, and key personnel work toward reaching the targets set forth. The gathered cluster has its own unique management structure, representatives of the elected members of the firms have been working in collaboration with TDZ management on the management structure. Besides the Ministry of Economy, SSM and TUBITAK support TSSK members and SMEs in the defense & aerospace area providing R&D and internalization support to enable them to develop products towards long term program planning in their strategic plans. Defence Turkey: With more than 330 companies and over 5,500 staff you have a structure, which is growing every day. What are your comments on the added value and innovation contributed to the sector by the Defense - Aerospace, Space and IT companies that active within your body? The driving force of clusters is the synergy that comes from R & D projects performed between university, industry and research. Currently; in the “Anka” UAV program, ground based flight control & payload control computer, digital data recorders and ground station software are provided by TSSK companies. In the “Atak” helicopter program, airborne digital data recorders, anti-tank missile launcher control system, missile video coding/decoding units, moving map computers and training simulators are provided by TSSK companies. There are many other examples can also be given. Moreover, TSSK companies are taking a role and will take more roles in major platform programs by also converting some of the foreign sourced subsystems to local indigenous products via a series of local R&D projects under a plan managed by SSM. Defence Turkey: How do you evaluate the export performance of the TSSK Cluster members in 2016? Where does the TSSK see itself within the next five-year period? I can answer these two questions together. There are more than 110 member firms and more than 2,200 R&D personnel employed. Currently, about 500 defense industry related R & D active projects are being carried out. Since the end of 2013, the clusters’ turnover has exceeded 900 M TL and exports exceeded $ 180 Million. With the number of member companies and the R&D personnel, the TSSK is quite strong and the numbers show clearly where the TSSK stands. Moreover, the importance of R&D focused clusters is also of significance to mention for our national defense industry. The TSSK is located in the defense industry sector, and its structure consists of large, medium and small scale companies. Beside intra-cluster development and internationalization activities, with the accumulation of owned experience in the sector, by transferring of expertise into other national and international sectors, with the correct use of resources, it is ensuring the mission of accurate planning for new investments. Defence Turkey: What can you say about TSSK’s activities in terms of events? And would you also inform us about your upcoming Project Market Day? Throughout the year, the TSSK organizes various sector specific events, these are B2B meetings, special events with main contractors, seminars, soft skill and technical training. In January of each year, there is a very big sector meeting called Project Day which is held at the ODTÜ Cultural and Convention Center. Last year more than 800 people visited the event, where TSSK companies showcased their products/services and their capabilities to main contractors. The event is held under the auspices of SSM and hopefully Deputy Undersecretary Mr. Celal Sami Tüfekçi will honor the event with his precedence and do the opening speech. Also, main contractors support the event and the TSSK, and we are happy to welcome valuable representatives of the Turkish defense sector. 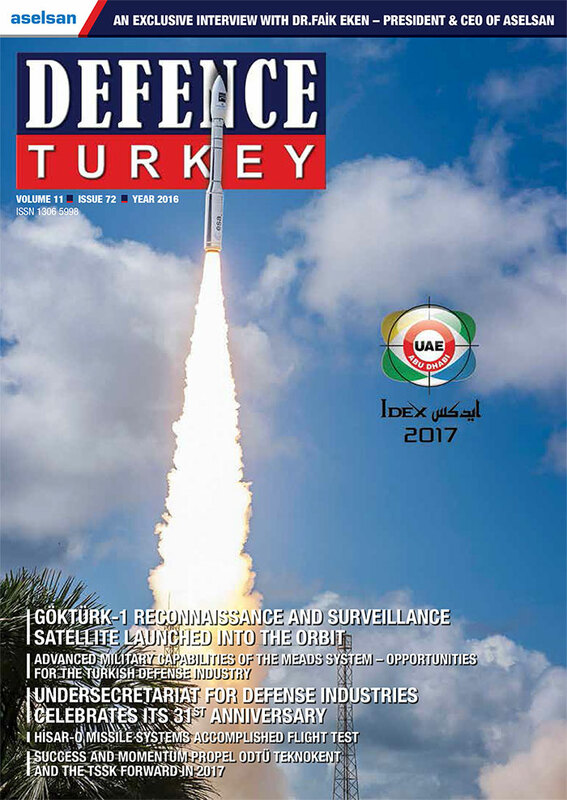 Defence Turkey: Are there any other points that you would like to mention to the readers of Defence Turkey magazine? I believe that the TSSK is very important, whereas its majority of member companies are R&D focused SME’s, which are the driving force for the economy. We work for the international competitiveness of member companies and boost the university-industry cooperation by various projects and activities. Moreover, we cooperate with all the important institutions, clusters and companies within the sector. I believe a stronger TSSK means a stronger defense industry.